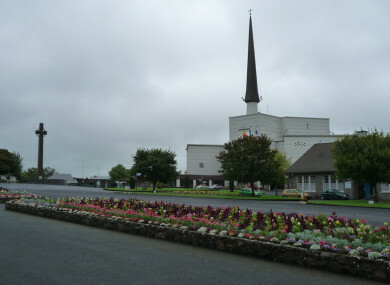 GARDAÍ ARE INVESTIGATING an alleged sexual assault on a woman that took place on the grounds of Knock shrine in Co Mayo last month. The incident took place on the afternoon of 9 February. Gardaí confirmed officers at Knock garda station are investigating the alleged sexual assault and no arrests have yet been made. One local woman said there is fear now in the community that there could be further assaults as the suspect has not been caught. “This is happening in daylight for goodness sake,” she told TheJournal.ie. She said she was concerned that the incident had not been brought to the attention of the wider community at an earlier stage. TheJournal.ie spoke to a number of local councillors in the area – none of them had been made aware of the incident last month. Sinn Féin councillor Gerry Murray said it is a “very public area” but encouraged local people to be vigilant. “This incident should be thoroughly investigated,” he added. More than 1.5 million people each year visit the Mayo shrine, which has daily masses and other weekly and monthly events. The pilgrimage season runs from April to October each year. A spokesperson for Knock shrine said the incident was reported immediately to its own security staff and to gardaí. Anyone with information about this incident can contact investigating gardaí at Knock garda station on 094 938 8102. Email “Gardaí investigate daylight sexual assault on grounds of Knock shrine”. Feedback on “Gardaí investigate daylight sexual assault on grounds of Knock shrine”.